On Saturday 9:45 p.m. a store clerk at GS Shell Station on Rockaway Turnpike in Cedarhurst was assaulted by two customers. 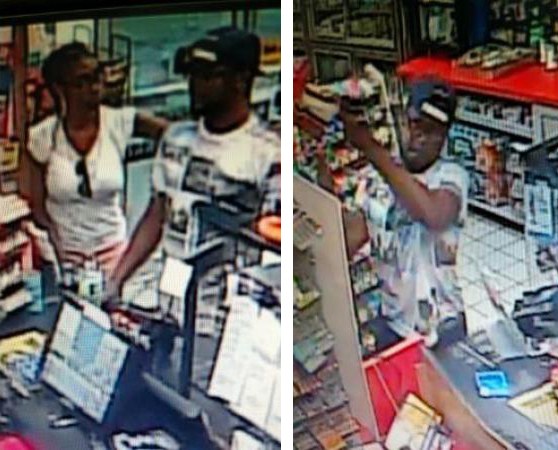 According to Nassau Police, a man and woman entered the gas station and asked the store clerk for “slushies”. When the clerk responded that the store didn’t sell them, the couple became irate. The couple were seen screaming racial slurs and throwing items around the store causing $4,000 in damage. Police are asking anyone with information about this crime to contact Nassau County Crime Stoppers at 1-800-244-TIPS. All callers will remain anonymous.